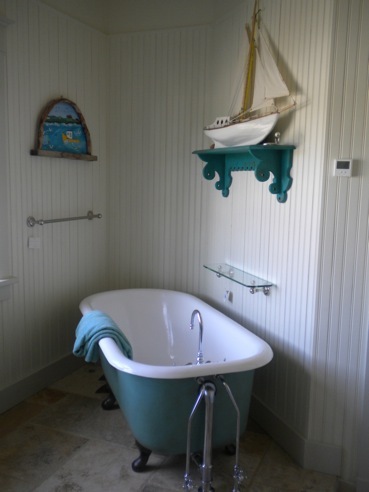 Seaside bathroom bliss! 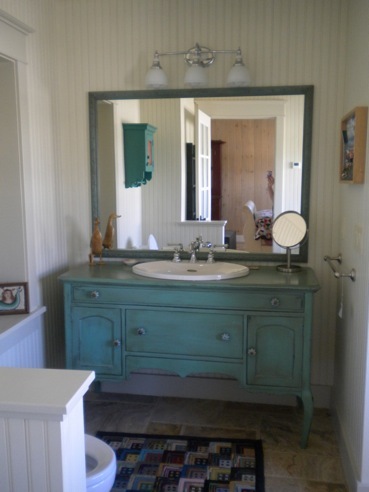 Beautiful custom finish on a claw foot tub and antique bureau, converted into a bathroom vanity. Another exciting and dreamy project from the South Shore series! After being asked to create a custom floor in one of the bedrooms, once again we looked to the sea for inspiration. Drawing from previously used paint colours in the home, we designed a pattern based loosely around a compass rose and then went to town on the floor! Layer after layer of distressing, paint and glaze resulted in this breathtaking and unique floor feature, yet another stunning component to this elegant seaside home. 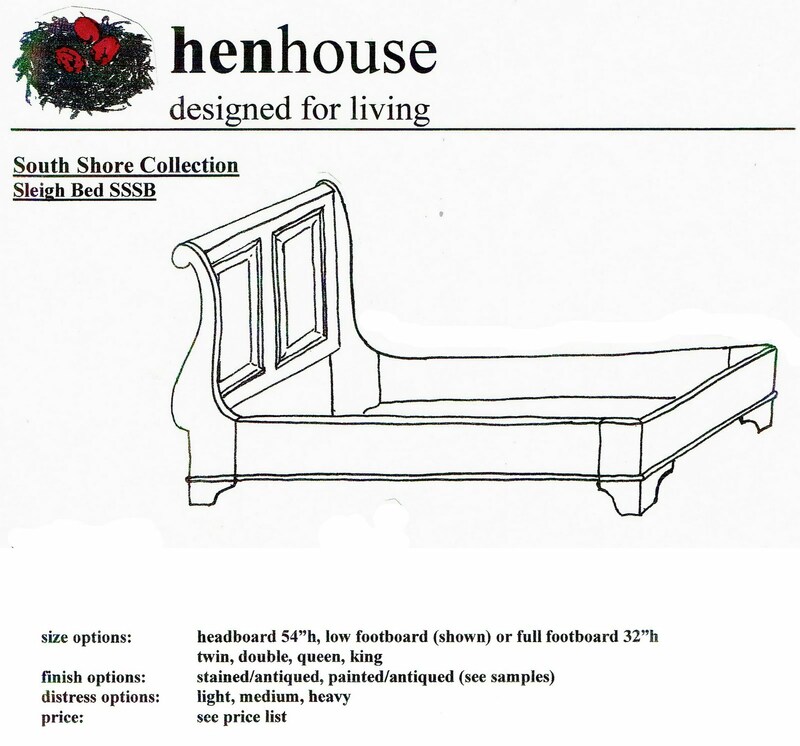 For this purpose, we have created two standard furniture lines, the South Shore and Oxford collection. 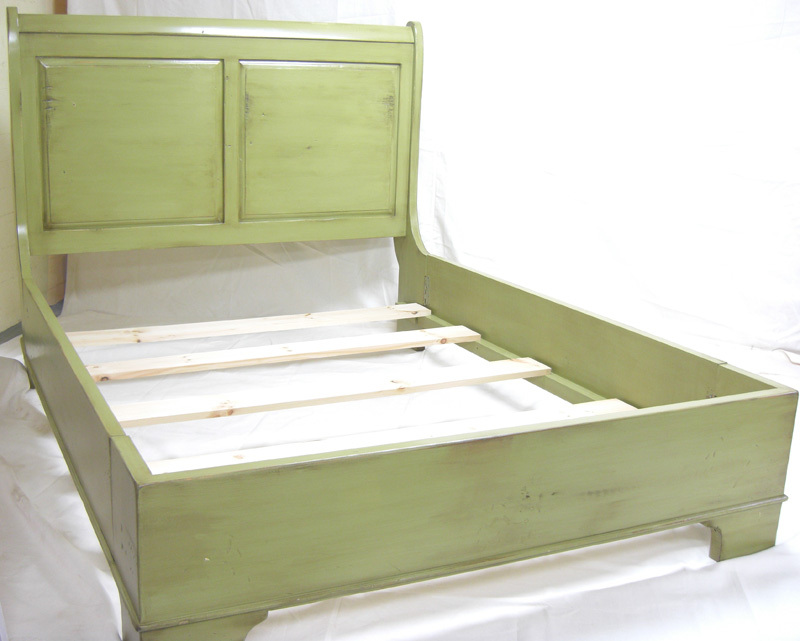 You can order directly from the catalog or use the designs and dimensions as a jumping off point for creating the ultimate custom piece of furniture. While we have provided set dimensions and features in these catalogs, they are not set in stone and we can accommodate any space or specifications. In other words, think of our designs as a blank colouring sheet that you get to fill it in. We would like to show you what our process looks like: The first step is to select your piece of furniture. 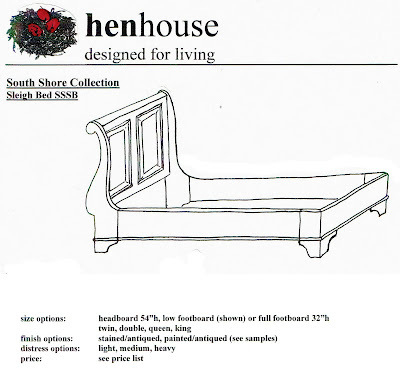 One particular customer chose the South Shore Sleigh bed (SSSB) with a low footboard and made out of solid pine. 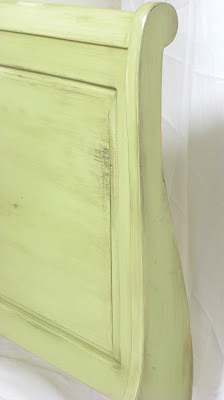 They then selected the colour and style of finish, a green hue with a heavy handed antiqued look (we also have samples in our store that you can choose from). Presto! After a few weeks of building and finishing, the end result is a one of a kind, unique and long lasting piece of furniture finished to blend in perfectly with the rest of your decor. How neat is that?! When you live right on the ocean, chances are good that your home will somehow reflect the essence of the sea. From your colour palette to choices in decor, an ocean residing home is truly cause for inspiration. This particular home is beyond beautiful, with views of rolling waves, lush sea life and plenty of smooth gray rocks and boulders. From every location inside the home one can admire the Atlantic ocean through large windows. The interior (and exterior) decor chosen by the homeowners also radiate and reflect the seaside location. Practically every nook and cranny of this home is filled with delightful sea side treasures, like old buoys and lobster traps. Our henhouse project was simple: to refinish a built in bar and entertainment unit, blending the piece with the house’s unique and whimsical seaside decor. Originally finished in a solid blue, our goal was to conceive of and execute a custom finish which incorporated the hues of the granite rock visible outside the windows and also found in the fireplace. In the end we opted to use three separate paint colours, creating a faux finish which emulated the hues found in drift wood. By blending and layering the colours we were able to capture the tones of driftwood and by finishing the unit in a blend of neutral colours we found that all of the colourful decor pieces, such as the the boat coffee table, really popped and were now showcased perfectly. The task was a success!